New figures show details of accusations against ten serial abusers in the diocese – one of whom had 97 allegations against him. ROUGHLY ONE IN every 14 priests serving in Dublin over the last 70 years has been the subject of child abuse allegations, according to figures released by the archdiocese. And fresh allegations continue to arise. In the last year accusations have been made against four priests who were not previously the subject of allegations, with suspicions raised over a fifth. Ninety-eight priests have been accused of sexually abusing children since the 1940s. During this time around 1,350 priests have served in the diocese – meaning that seven per cent of the total, or just over one in 14, have had child abuse allegations made against them. The figures are contained in the annual Child Protection Update released by the Archdiocese of Dublin today. It shows a sharp decline in abuse allegations since the 1980s, when they peaked after rising through the 40s, 50s, 60s and 70s. The report also contains details of ten priests who it describes as serial abusers. One had 97 allegations against him. Five of the ten have been criminally convicted, and two are now deceased. Of the remaining three, one has been laicised and has no contact with the diocese. The other two are out of active ministry, and are being “supervised” by the diocese. Andrew Fagan, director of the archdiocese’s Child Safeguarding and Protection Service, said it is one of a small number of organisations across the country actively supervising men who are deemed a risk to children. He said the service reduces the risk of reoffending and is “more extensive” than equivalent State-run services. Fagan added that it was essential that the diocese continue to prioritise the safety of children. While the majority of allegations of abuse reported to us now, relate to sexual abuse which may have occurred many years ago, it is still crucial to be vigilant and to work to ensure standards are maintained. 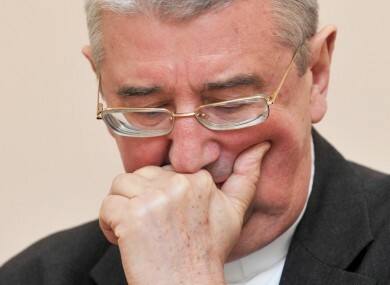 However, he said that parishes in Dublin are now “safer places” for children to be. In total, 10 priests or former priests have been criminally convicted. Some 199 civil actions have been taken against priests, with 64 still in progress. Email “One in every 14 Dublin priests accused of child abuse”. Feedback on “One in every 14 Dublin priests accused of child abuse”.